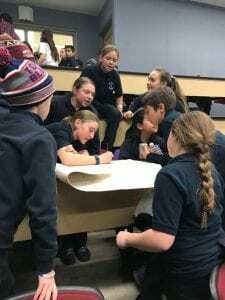 On February 9th, grade six students from St. Michael, Lumen Christi and Holy Rosary (B) School took part in an Experiential Learning opportunity at Niagara College’s Niagara on the Lake campus. The purpose of the visit was to introduce our students to the opportunities provided by a college in close proximity to the Halton Region. As well, by making our students more aware of the post-secondary choices that exist for them, we increase the chances that they will make informed decisions when choosing their pathways. The day’s events began with a tour of the campus. 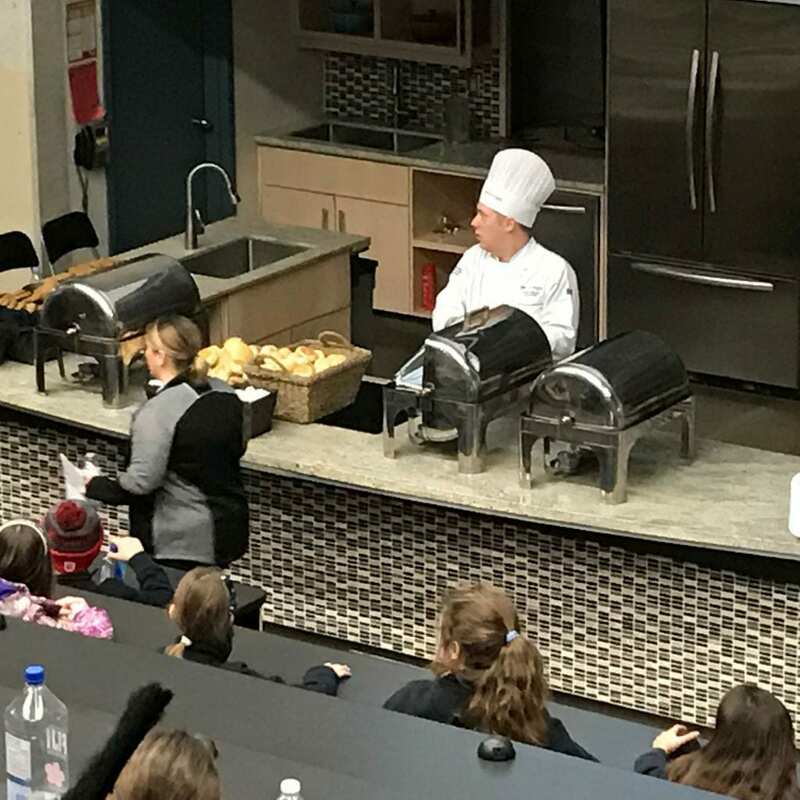 Students were shown the various services and amenities offered to students who attend Niagara College. 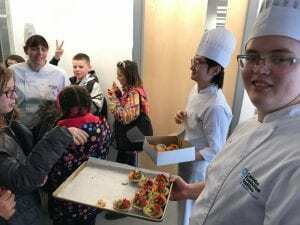 As well, students toured the various professional kitchens affiliated with the Culinary Arts program and some were lucky enough to receive some freshly baked samples. The tour finished with a look at the college’s active greenhouse. The day was punctuated by a lunch prepared by students in Niagara’s Culinary program. The delicious meal helped activate the students’ brains for the two afternoon workshops. The first workshop focused on Food Science. The students were given an overview of what ‘food science’ is and what careers are available to someone who completes the Food Science program. 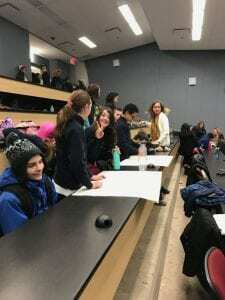 The workshop concluded with students posing as food critics to determine the difference between a traditional Oreo cookie and the ’30% Less Fat’ variety of Oreo. The second workshop saw the students engaged in a collaborative inquiry session based on Event Planning. Students were given a set of success criteria that helped to guide them through the process of planning a grade 8 graduation. Students worked in groups to determine a theme, food, entertainment and overall budget for their proposed graduation party. Many thanks to all of the schools who took part in the day and the team at Niagara College who helped to provide this amazing experiential learning opportunity for our students.